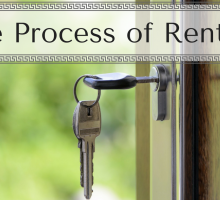 Searching for a rental property can be frustrating when trying to figure out where each listing is located. You have multiple browsers open with google maps, as well as the various rental properties you are interested in. Flipping back and forth is extremely annoying and more work than needed. If only there was a way to view the listings as well as a map of the area! Now, there is! 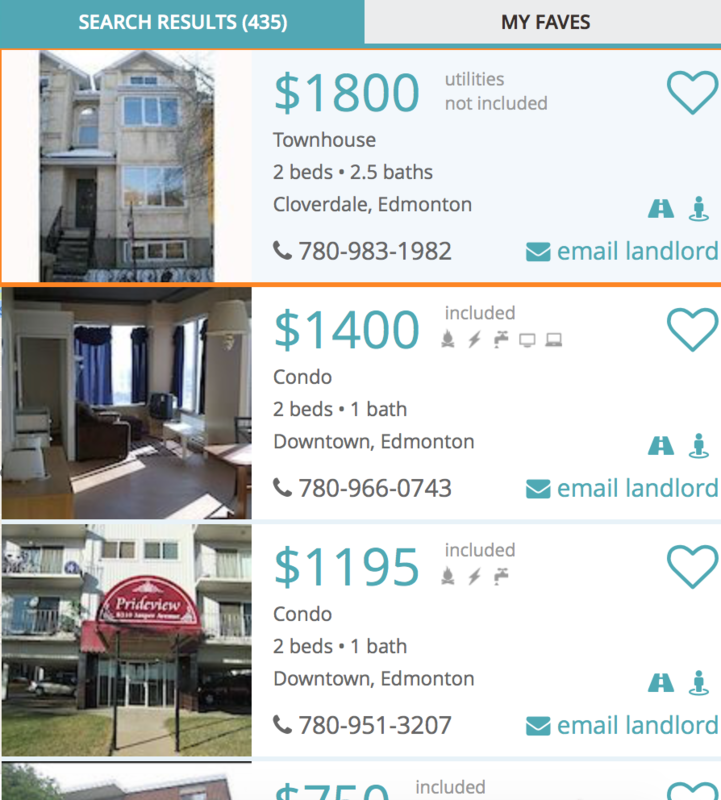 Rentfaster.ca has created an easy and simple way for you to view rental listings without the various browser tabs. Introducing our new Map View option. 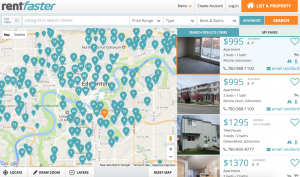 It combines the best parts of list-view and map-view to make renting stress-free! This search method saves you time, as everything is located on one browser page. It includes advanced search features, map viewing opportunities, and easy-to-use icons. Finding the perfect rental will be a breeze! This rental search is one step up from google maps. 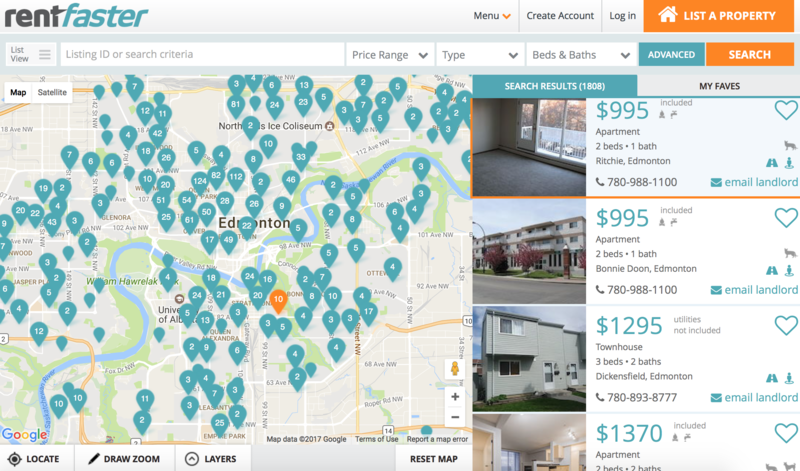 Map View displays all the listings in an area within one window. When you find your desired location, numerous pins will appear showing you how many listings are available. This makes it easy to browse surrounding areas and find the place that is just right for you. It is as simple as moving the map or entering in a listing ID or search criteria to help you effortlessly search high numbers of listings. If you are flexible on what area you want to live in, you can filter based on search criteria. Utilize the advanced search options to find listings that fit your price point, size, and type of living space. 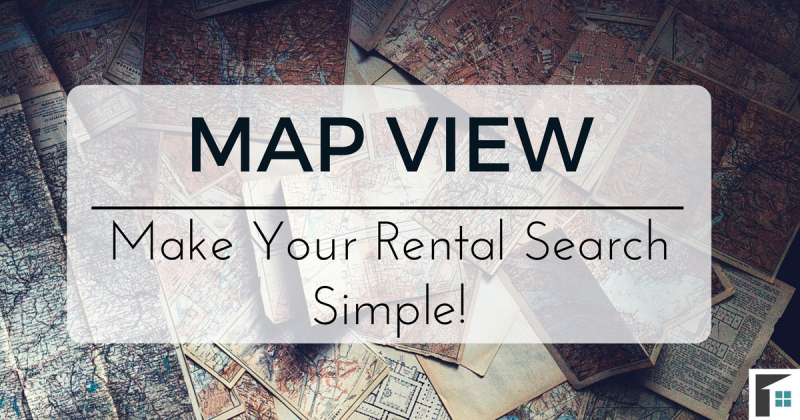 Map View avoids having to scroll through hundreds of rentals and instead easily finds the listings that match your rental requirements. If you prefer to look for properties by scrolling through the listings, Map View also allows this. The listings are located on the right of your screen, showing all key information so that you can quickly identify the properties that peak your interest. Hover over any listing with your mouse and the marker will be highlighted orange on the map to show where it is located. On the other hand, if you click a marker on the map, the listing as well as those nearby, will appear at the top of the listing search. 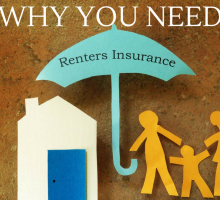 This helps you quickly find a rental that looks and fits your expectations, and also allows you to assess if it is the best area for you right away. Reduce the hassle of copying a URL and saving it elsewhere and instead use your login to save your favorites! On the list of rentals in Map View there will be a heart on the right of each listing. By simply clicking this it will remember that property for you so that you can continue your search. It is easy to view all of your favorited properties by simply clicking the favorites tab located beside the search results tab. All listings include basic information about the property, such as a feature image, location, price, and size. Provided is also the direct contact information for the landlord (a phone number) as well as a button to e-mail the landlord right away (a pop-up screen appears allowing you to write a quick e-mail and return to your search). On the far right of the listing box are icons that let you favorite the property as well as see if the listing is pet friendly. Below this are two useable google icons: a directions icon and a street view icon. These are there to assist you in finding directions to a property. It is also a great option to see potential commute times! 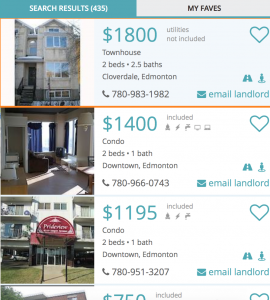 With this new search tool, finding the perfect rental will be nothing to sweat about! Check out the Map View search today to see what listings are in the area you desire! 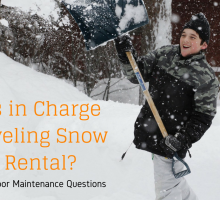 Have any questions, shoot us an e-mail or direct message us on Twitter or Facebook and we will be happy to help!